Calvinism is the Gospel. The Gospel is Calvinism. Are you not sure about this? Do you know what Calvinism really teaches? This simple book is for you! This little, helpful, beginner’s book is extremely easy to read and easy to follow. 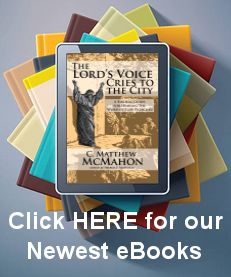 It is comprised of a great number of Scriptures in explaining the important doctrines of grace called Calvinism which are found through the Scriptures but systematically compiled. Calvinism is divided into hundred of points, but Palmer’s book touches upon the five main points most commonly deemed the “doctrines of grace.” He deals with the acrostic “T.U.L.I.P.” which stands for Total Depravity, Unconditional Election, Limited Atonement, Irresistible Grace, and Perseverance of the Saints. Palmer also introduces the reader to the doctrine of reprobation included in chapter 7. This book is great help to those who have been recently introduced to the doctrines of grace, or have never heard of them. I have personally given out many copies of this book to those in various circumstances who desire to know salvation in a true way. It has aided every person on their quest to understand grace and I have yet to find anyone who did not like reading it, even if they disagreed with the doctrines presented since it is in such a simple and easy to follow format. Palmer adds a series of discussion questions to the end of each section in order to prompt the reader to some needful mediations on what he is covering. This is not a theologically deep book, as far as a systematic theology goes, but is a very good book in its aim and purpose to help the newcomer understand the very basic tenants of Calvinism. The reader must also be aware of the last chapter dealing with “making sense” of all this. Palmer, in my opinion, gives a very convoluted and contradictory chapter on the mystery of God’s will. He believes sovereignty and human responsibility cannot be reconciled – I think this is a grave mistake and confusing for the reader. However, other than that erroneous notion, the book is very helpful.